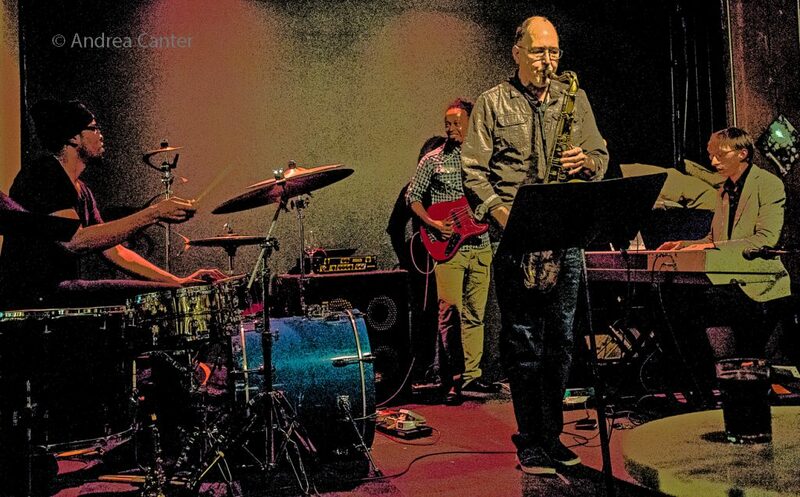 An exciting group of Twin Cities musicians, the Steven Hobert Quartet returns to the venue where it all started on the Thursday Night Jazz at Reverie series, June 29. 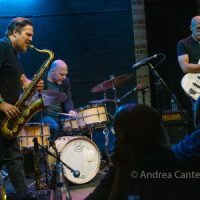 Leader Hobert (piano) is joined by versatile saxophonist Pete Whitman, wide-ranging bassist Yohannes Tona, and up-and-coming drummer Arthur “LA” Buckner. Originally from Hartland, Wisconsin, Steven Hobert recalls that he “would noodle around on the piano and just make things up, maybe even as young as middle school.” The music of Keith Jarrett, particularly his solo improvisation concerts, influenced Steven’s decision to pursue piano improvisation at the University of Wisconsin Eau Claire, as it allowed him to express himself through uninhibited creativity. After graduation, Hobert performed with symphony orchestras from Calgary to Buffalo, played on cruise ships, and spent a year touring Japan, Canada and the U.S. with the Glenn Miller Orchestra. He also served as music director for vocal ensemble Five By Design. 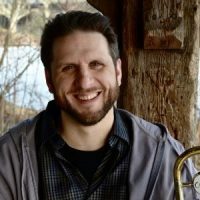 Currently Steven leads FireFly Forest and his quartet, plays accordion in Lulu’s Playground and piano with the Adam Meckler Orchestra, works in duos with oud player Issem Rafea and guitarist Dean Magraw, and generally works as a freelance musician, composer, and teacher of piano, accordion and woodwinds. Pete Whitman is a veteran performer, composer, and arranger. After launching his professional career in Kansas City, he completed his undergraduate and masters’ degrees in jazz studies at North Texas State University. 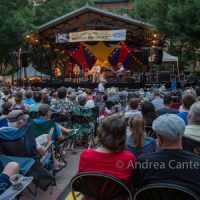 In 1986, Pete began touring throughout Europe, Japan and Brazil with the Glenn Miller Orchestra, moving to St. Paul in 1988 where he has become one of the most prolific members of the Twin Cities jazz community. 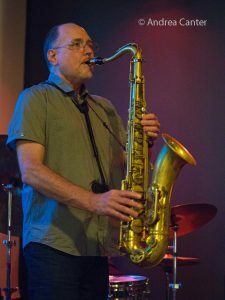 Pete’s credits on tenor, alto, soprano, clarinet and flute include performing with Randy Brecker, Jack McDuff, Curtis Fuller, the Woody Herman Orchestra and Andres Prado Quartet. 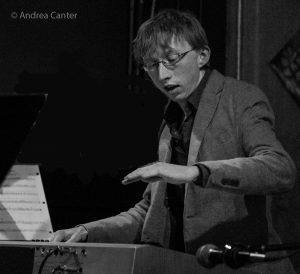 Currently Pete leads his 10-piece X-Tet and Quartet, and is a member of Bottomless Pit and the Jazz MN Orchestra. With his X-Tet, he released the highly regarded Where’s When on Artegra (2002), earning four stars from Downbeat. Pete also composed and arranged the score for the independent film, Been Rich All My Life. A dedicated educator, Whitman heads the Woodwind and Brass Department at St. Paul’s McNally Smith College where he teaches saxophone, improvisation, and arranging, and directs McNally’s edition of the X-Tet. 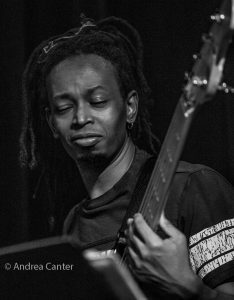 Bassist Yohannes Tona grew up in Awassa in southern Ethiopia, the son of a church organist (father) and vocalist (mother). Studying guitar and then bass in his homeland, he attended Yared, Ethiopia’s lone music school, at sixteen. Yohannes emigrated to the U.S. in the late 1990s to study at the Berklee College of Music. A few yeas later he was recruited to serve as music director for the Ethiopian Church in Minneapolis. Here he has played with the Grammy-nominated Excelsior Choir , Dr. Mambo’s Combo, Darnell Davis and the Remnant, Nachito Herrera, Kevin Washington, Doug Little, #Mpls, and Foreign Motion. He’s also performed with top area vocalists including T. Mychal Rambo, Bruce Henry, Debbie Duncan, and Sounds of Blackness, leads the Yohannes Tona Band and Made in Abyssinia, and works as a producer for a variety of projects. 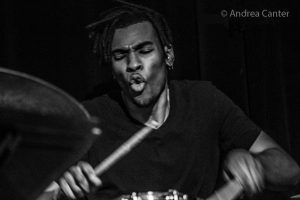 Currently a Masters degree student at McNally Smith College of Music, drummer Arthur “LA” Buckner works with national gospel recording artist Jovnota Patton & Deliverance for Youth, Shiloh Temple International Ministries, Rodney Ruckus, the Ethan Yeshaya Trio, Cameron Wright Band, Paris Bennett, and the award-winning McNally Smith X-Tet. Born and raised in Minneapolis, LA was influenced by his father’s jazz collection, his mother’s Quincy Jones and Erykah Badu albums, and his involvement in the music of his family church. His father, baritone singer Art G. Buckner, bought LA his first drum kit after observing his son’s fascination with the drums he heard during church services. LA is known for his ability to incorporate Latin, Blues, Pop, Hip-Hop and R&B into whatever style of music he’s playing. 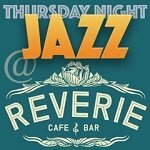 The Steven Hobert Quartet performs at 9 pm at Reverie, 1931 Nicollet Ave (at Franklin) in South Minneapolis. 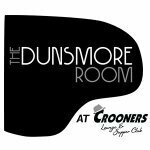 No cover but tips/donations ($10 suggested) are appreciated to support the weekly series and performers. 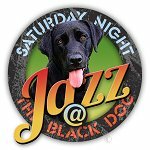 Full jazz calendar through July at www.thursdaynightjazzatreverie.info.